Mark graduated from Birmingham University in 1987. He practised in Oxford city centre before he moved to Wallingford in 1990 to form Lawrence & Pinkerton Dental Practice. He is Treasurer of the Oxford Dental Implant Association (ODIA), a member of the International Team of Implantology (ITI), a member of the British Dental Association (BDA). 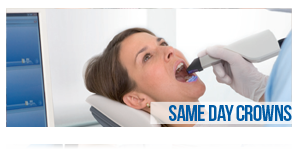 Mark has attended Cerec Masters courses in Düsseldorf, London and Moscow. Stuart qualified from Glasgow University in 1983. He moved to Wallingford in 1990 to form Lawrence & Pinkerton Dental Practice. 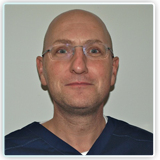 Stuart is a member of the Oxford Dental Implant Association (ODIA) and has attended a Cerec Masters course in Düsseldorf. 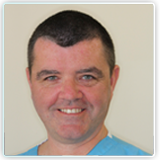 Stuart has an active interest in implants and cosmetic dentistry. Andy qualified as a dentist in 1988 and went on to hold several hospital posts in the disciplines of Restorative Dentistry and Maxillo Facial Surgery. 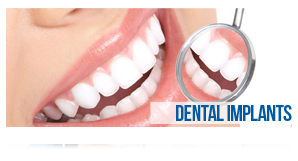 He has also held the post of Lecturer in Restorative Dentistry at the University of Bristol. Andy has over 20 years of experience in this field and has a success rate that exceeds 99%. He is experienced in all the advanced aspects of the field including bone grafting and computer guided implant surgery. 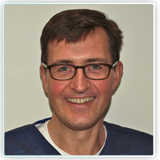 Andy is also involved in implant education and is a registered mentor for the Association of Dental Implantology. 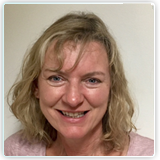 Alison qualified at the Royal London Hospital in 1988 as a Dental Hygienist and has been working at Lawrence & Pinkerton Dental Care since January 2017. She regularly attends courses to keep her knowledge up-to-date. 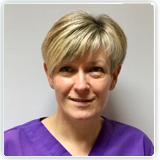 Christine qualified as a Dental Hygienist in 1988 at the Royal London Hospital and has been working at Lawrence & Pinkerton Dental Care since July 2017. 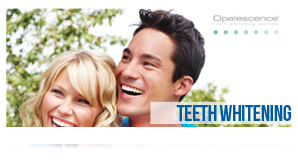 She has a keen interest in supporting patients in helping them keep their natural teeth for longer. 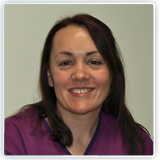 Tracy has been working as a dental nurse for over 10 years and gained her Certificate in Dental Nursing in 2005. She has been working at Lawrence & Pinkerton since 2006. 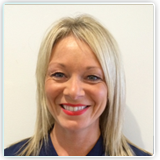 Sacha has been working as a dental nurse for over 10 years and gained her Certificate in Dental Nursing in 2005. She joined Lawrence & Pinkerton Dental Care in 2015. 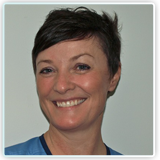 Claire has been working in dentistry since 1993. She gained her Certificate in Dental Nursing in 1997 and her BTEC Professional Diploma in Dental Practice Management in 2008. Claire started working at Lawrence & Pinkerton in 2012.